You searched for which does not fit your . We've redirected you to ZZ35060, which has the proper fitment. Good fit, easy installation, very new hope it will last a long time.. Very easy to fill with the new setup they have. Much better than a jug and a hose.. Have used Yuasa batteries for many years as replacements. My last battery only lasted one year, so I'm hoping this Yuasa does better, bought a new Milwaukee Twins smart charger to go with it!! Was highly recommended by friends.I am very satisfied. old man 68. This battery is the perfect fit for my bike. Has a high crank amp too. 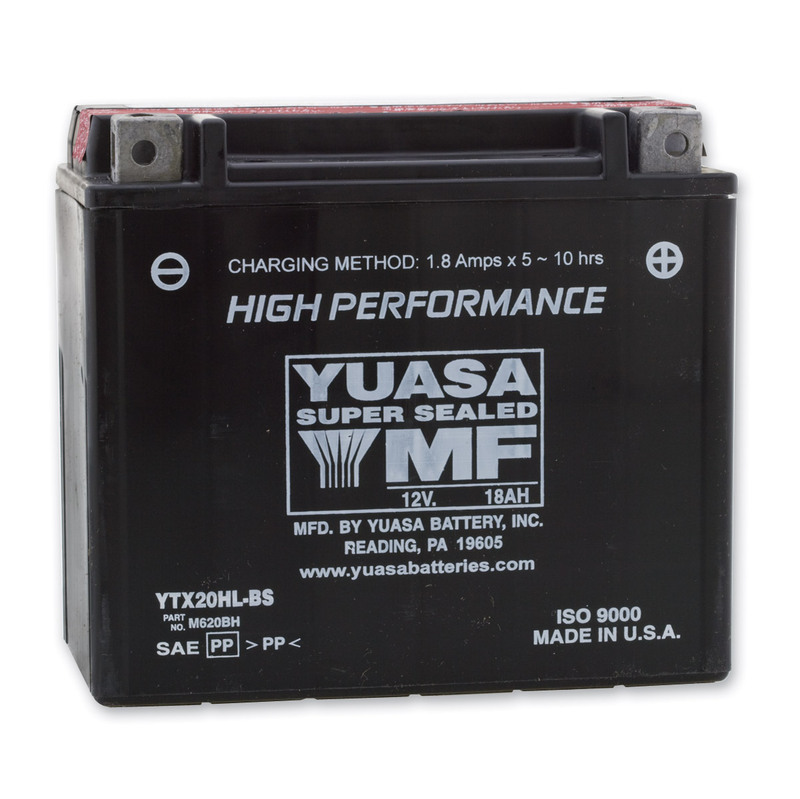 The original battery in my 2004 was a Yuasa. After about 9 years it finally was weak and had to be replaced. I tried an "off brand" from J&P to maybe save a few bucks. After about 5 months it failed. I spoke to someone at J&P and they said they would give me a refund once I took the defective battery to an auto parts store to get it tested. I sent in the return label and the printed test results. J&P gladly refunded my money for the battery and I purchased a new Yuasa brand battery. I am confident that Yuasa will last for many years. Thanks for the great service J&P!